Are you being bullied? Do you see bullying at your school? There are things you can do to keep yourself and the kids you know safe from bullying. Be assertive and confident. Stand up for yourself. Use body language to show you are not afraid. Stand up straight and make eye contact. Ignore the bully. Walk away. Don’t respond. Get out of the situation. Agree with the bully’s comments. Say “Whatever” or “You’re right.” Then walk away. Get help. If you are being bullied, don’t keep it a secret. Ask friends or adults for help. Report all bullying incidents. Refuse to join in. Don’t take par in the bullying. Refuse to even watch. Speak out. Distract the bully by changing the subject or using humor. Talk to the bully later, in private. Stand up for the victim. Tell the bully to stop. Get a group to do this with you. Give support. Talk to the person being bullied in private. Be a friend to that person. Make an effort to include others who are normally left out or rejected. Get an adult. Report any bullying you see to teachers or other adults. 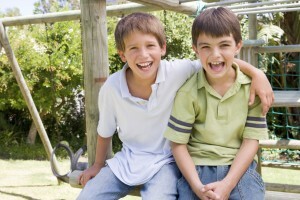 They can set clear, nonviolent consequences for future bullying behavior(Source: preventchildabuseny.org). Think about what could help and share your ideas. There is a good chance that adults don’t know all of what happens. Your friends can go with you to talk to a teacher, counselor, coach, or parent and can add what they think.